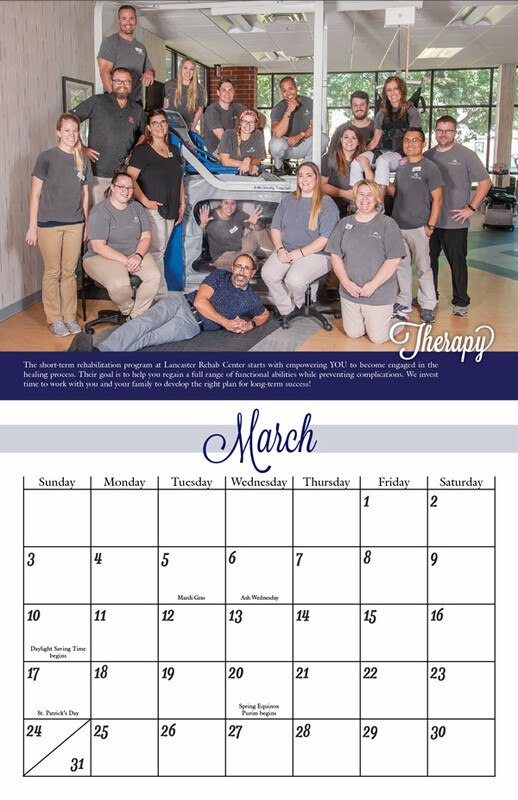 Lancaster Rehabilitation Center approached us with a need for a calendar. 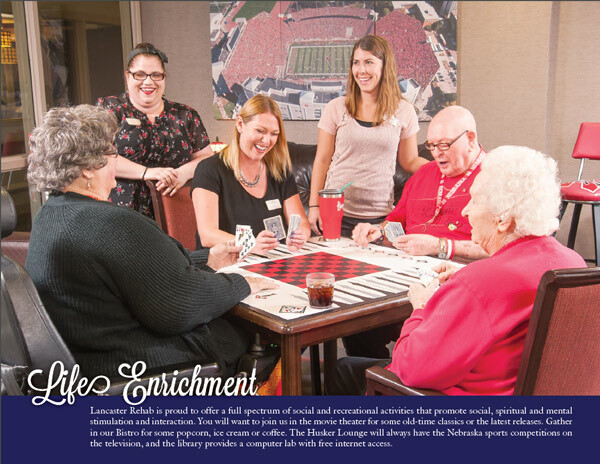 We sent one of our photographers to their location to take professional photos of all the departments they wanted highlighted. 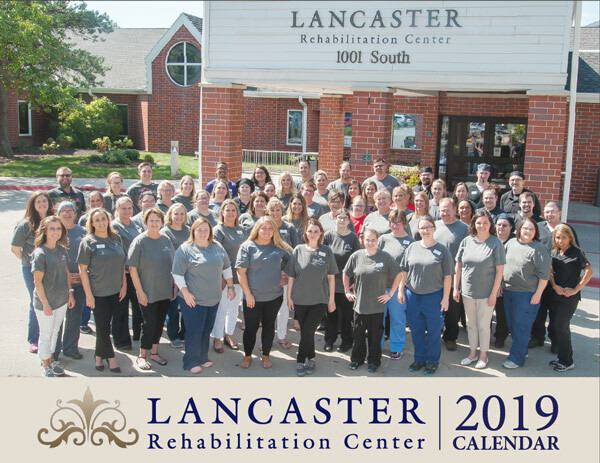 These calendars now can be used by Lancaster Rehab as sales items for future clients as well as mementos for residents and patients.